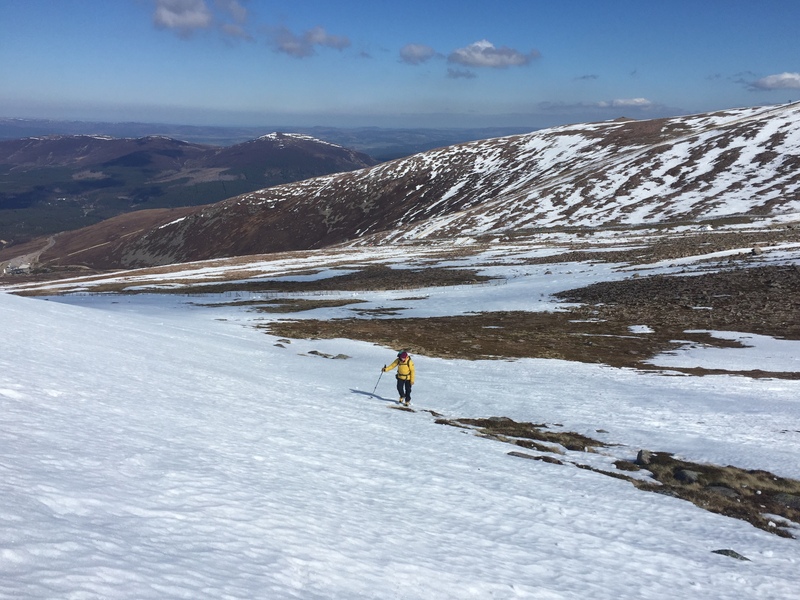 SAIS Northern Cairngorms Blog » Gale Force winds. Although bright sunshine it was feeling very cold in the strong to gale force South-Easterly winds. Summit temperatures were as low of minus 6 celsius during the morning rising to minus 3 by mid afternoon. The old snowpack is firm on all aspects. Corrie back walls have a widespread cover of firm snow ice. Also good snow cover on the plateau. 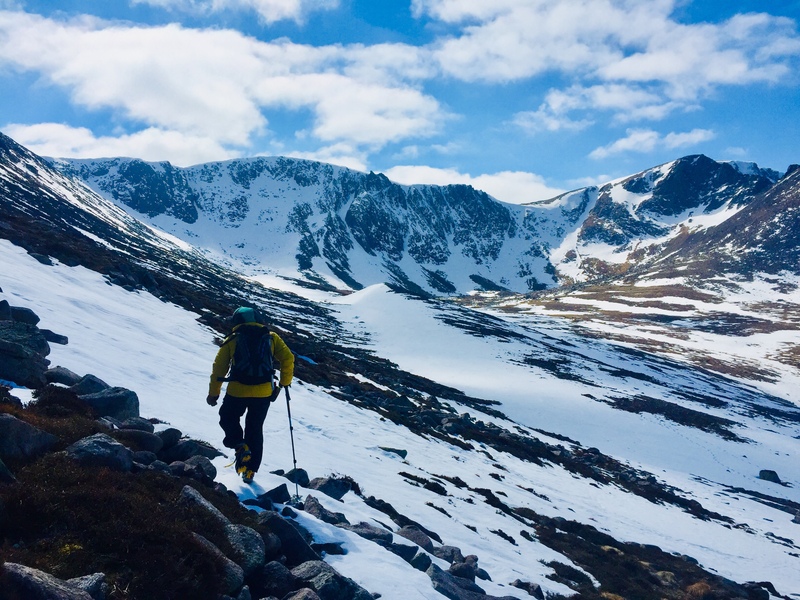 Looking down Coire Cas – Very gusty winds, enough to blow sunglasses off!